Whether you’re looking to finish the financial year with a countertop upgrade or you’re starting a new business, the thought of sourcing new hardware, software and payments services from multiple providers can be exhausting. Unfortunately, that’s the challenge many Australian business owners face. At Square, we think things should be simpler. We make it easy to source every tool you need to run a fully integrated point of sale on your countertop. That’s why we’re excited to announce that you can now buy every piece of point-of-sale hardware you need on Square’s online shop. We offer a wide range of third-party hardware and accessories that solve all your countertop needs. Not only are all the the products we offer compatible with Square Point of Sale, we’re also offering free shipping anywhere in Australia, and best-in-market pricing so that you know you’re always getting the best deal. This new third-party hardware is designed to give you the flexibility to set up your countertop however you want. All our hardware can be connected quickly and easily via Bluetooth or Ethernet, enabling simple setup of receipt printers and cash drawers. We also have cases to affix your Square Reader to your iPhone, and POS stands to secure your tablet right to the countertop. What hardware can I purchase online with Square? Cash drawers: Cash drawers are a necessity for any product-based business. The ones we offer are powered by Ethernet-interface receipt printers, and when connected can pop open for any cash sale. Receipt printers: Although we encourage all our sellers to be environmentally minded and use our digital receipt feature, we also know that some customers want a physical receipt. Our range of Ethernet and Bluetooth receipt printers are the best value in market and compatible with a wide range of tablets. 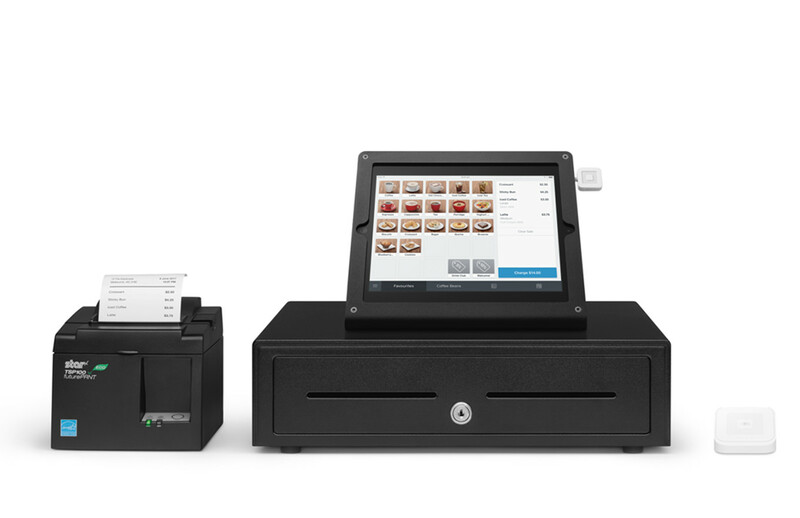 Tablet stands: Leave the clunky cash register in the past and transform your countertop into an elegant point of sale. Our Studio Proper iPad stands enable you to pivot your iPad to the customer easily for PIN entry. It has a sleek and minimal form and complements any retail or hospitality environment. Reader cases: Our friends at OtterBox are launching their new case in Australia exclusively with Square. Mount your Square Reader for contactless and chip directly to your compatible iPhone, so you’re always ready and able to accept payments wherever your business takes you. If you’re running your POS from an iPad mini, never fear. The sleek L7 iPad mini case enables you to affix the same reader to your device. All third-party accessories sold through Square are shipped free anywhere in Australia. Take advantage of the Australian Government’s $20,000 instant asset write-off by making a purchase before 1 July, 2017, and you may be able to immediately deduct the business portion of your purchase in your 2017 tax return. So don’t delay — give your small business a countertop upgrade today! Shop for third-party accessories online with Square.